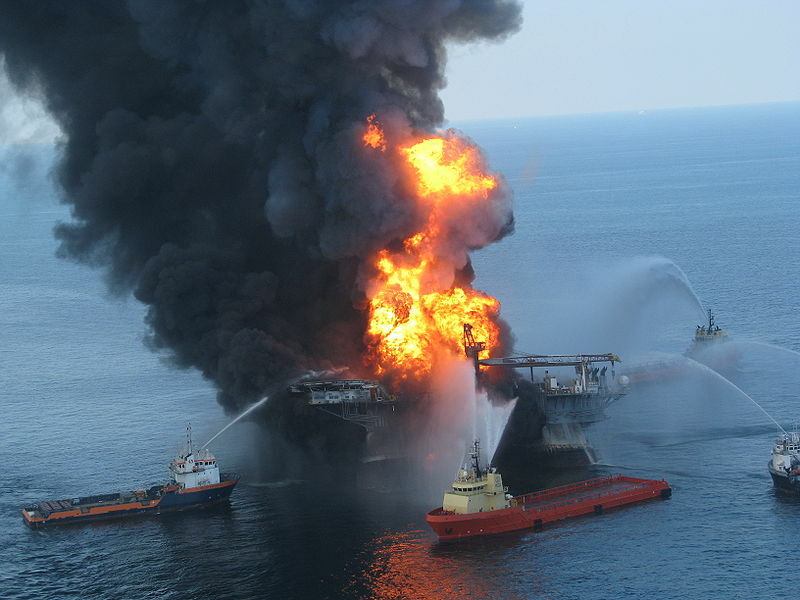 IntLawGrrls: Should We Nationalize the Response to Deepwater Horizon? Should We Nationalize the Response to Deepwater Horizon? Deepwater Horizon is an unparalleled disaster, but it is also the inevitable result of a concerted and ongoing assault on the regulatory state. The Bush administration did its best to gut the health and safety regulations, a project in which it was aided, abetted and funded by regulated industries. Indeed, as recently as last month, BP was still asserting that environmental risks from its offshore drilling activities were non-existent! That was eight years ago. Unfortunately, regulatory oversight was non-existent during the Bush years, and nothing happened. After the Deepwater Horizon crisis began, President Obama partially reversed his earlier decision in favor of offshore drilling, and announced a moratorium for drilling new offshore wells. Unfortunately, the message doesn't seem to have gotten through. The New York Times reports that Mineral and Mining Service has been issuing permits anyway. This moratorium must be invigorated and extended. But what about the growing chorus demanding that the federal government take charge of the response to the disaster unfolding in the Gulf? Dissatisfaction with BP’s transparency, its attitude, and its CYA approach to the cleanup are fueling the calls for taking direct governmental control over the response process. What would change if we nationalized the response to the Deepwater Horizon blowout and spill? ► 3) minimize and, if possible, reverse the ongoing environmental damage. I am not persuaded that the federal government needs to take actual control over the response in order to achieve whatever is possible on those fronts. Let’s take them in turn. 1) Stop the oil gushing into the Gulf. The federal government clearly has the authority to “federalize” the attempts to stop the flow of oil into the Gulf of Mexico. Section 311(c) of the Clean Water Act gives the government the authority to direct removal actions for a discharge determined to be a substantial threat to the public health or welfare of the United States. 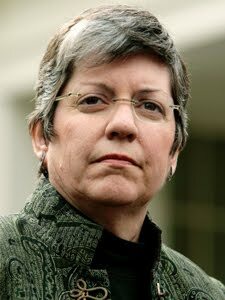 The April 29 designation by Homeland Security Secretary Janet Napolitano (right), stating that Deepwater Horizon is “a spill of national significance” under Section 300.323 of the National Contingency Plan, would seem to satisfy that criterion. Moreover, Section 2704(c)(3) of the Oil Pollution Act and Section 300.415(b) of the National Contingency Plan clearly contemplate that the federal government might conduct removal actions. It is looking more and more like a relief well is going to be the only viable solution. If that is the case, it is really not clear how direct federal control would help things: the drilling of such a well or wells can’t be sped up, and the federal government would still need BP’s technical resources to drill the well, and to operate the technology. Of course, Admiral Allen didn’t help things when he appeared to publicly endorse BP's leader. Admiral Allen may trust BP President Tony Hayward, but the rest of America doesn’t. So, in terms of stopping the spill, maybe what we need isn’t the government actually doing the response, but instead using its oversight authority to the fullest extent, which the Administration, despite an admirable focus on the crisis, has not always done. 2) Increase transparency. Congress, and the public, have been infuriated by BP’s claims that various aspects of its response to the spill are secret -- in fact, are Confidential Business Information. (BP has made this claim with regard to footage of the leak, and to the composition of the acutely toxic dispersant Corex that it is dumping in the Gulf.) This is an area where the federal government can definitely do more with the authority that it has. As Richard Denison of the Environmental Defense Fund points out, it is hard to imagine what would qualify as an "imminent unreasonable risk" if this doesn't. That authority clearly includes the authority to demand the release of information, like the videotape footage of the spill itself, that is necessary to make an effective response possible. In particular, without that footage, estimating of the size of the catastrophe is next to impossible, which is presumably the reason BP doesn't want to share it. As soon as independent scientists can analyze the footage, it seems pretty clear that BP's claim, that (only!) 5,000 barrels a day are gushing into the gulf, will lose what little credibility it retains. 3) Minimize environmental damage. Sadly, the feds, the states and local communities are already taking all kinds of actions. But, there is little to be done. The injury is devastating and likely permanent. As IntLawGrrls have noted in posts available here, birds, turtles, marine mammals, fish, and the communities that depend on those resources are suffering and dying. What the federal government should be doing is shutting down all deepwater offshore wells until the oil industry develops technology for responding effectively to this kind of a crisis. In light of what has occurred, any well approved with a similarly cursory glance at its environmental and safety risks clearly presents an imminent risk. Before any project can be restarted, we need real environmental impact statements, not categorical exemptions. The environmental impact statements should be prepared by an agency other than MMS, and should include explicit analysis of the technically daunting challenges of responding to a deepwater blowout.